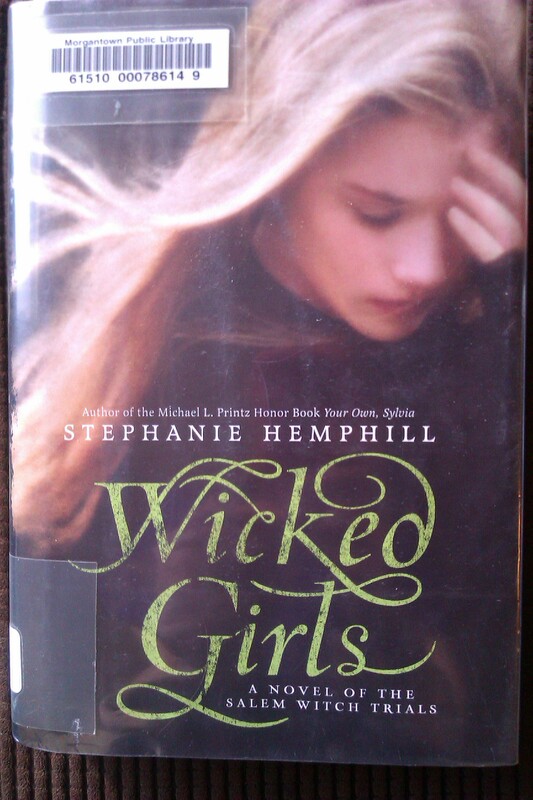 A couple of weeks ago I read Wicked Girls by Stephanie Hemphill. You would think since it’s taken me so long to blog about it that I didn’t actually care for the book, not true! I really enjoyed this book and zipped through it. The author utilizes poetry to tell the story, which I found very interesting. The plot focuses on the Salem Witch Trials, changing a few names and putting a modern girl-group dynamics spin on this popular tale. 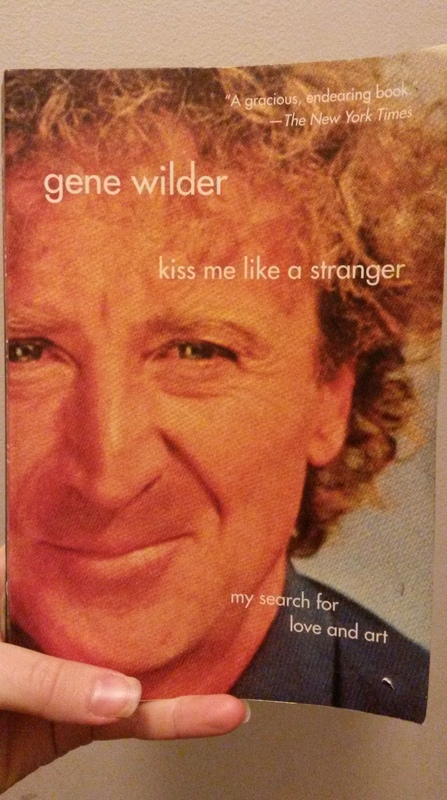 I’m not sure what else to say about this book, without giving things away. If you aren’t familiar with the Trials this is a great way to dive in. The author takes certain liberties with the characters but many of the events are rooted in historical accuracy. Get to the library and read away! 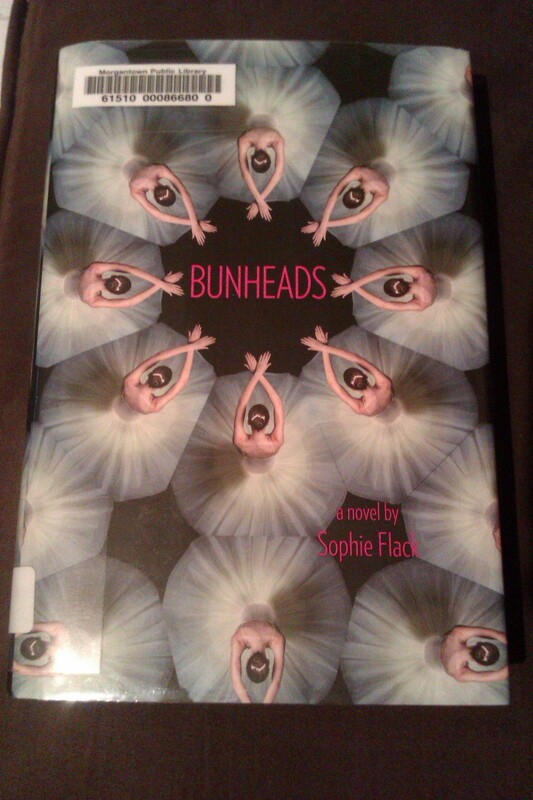 On Sunday I read Bunheads by Sophie Flack. If the title and cover didn’t give it away…the book is about ballet dancers not just any dancers though, New York City ballet dancers. I really liked that the author spent 9 years as a professional ballet dancer in New York City, this gives more believability to the book. However, she doesn’t overwhelm the reader with technical ballet terms. The story follows Hannah Ward through a year of ballet. Hannah knew she wanted to be a ballet dancer since she was a little girl and hasn’t explored many other options outside that life. All that changes with a chance meeting of Jacob, a musician and NYU student, at her cousin’s restaurant. We see Hannah struggle to maintain a relationship with a non-dancer while trying to forward her dancing career. Throw in other dancers competing for the same parts, another suitor, as well as Hannah’s endearing inability to navigate the “real world” and you have all the components for a wonderful read. I definitely enjoyed this book and would suggest it to anyone interested in dancers’ lives. 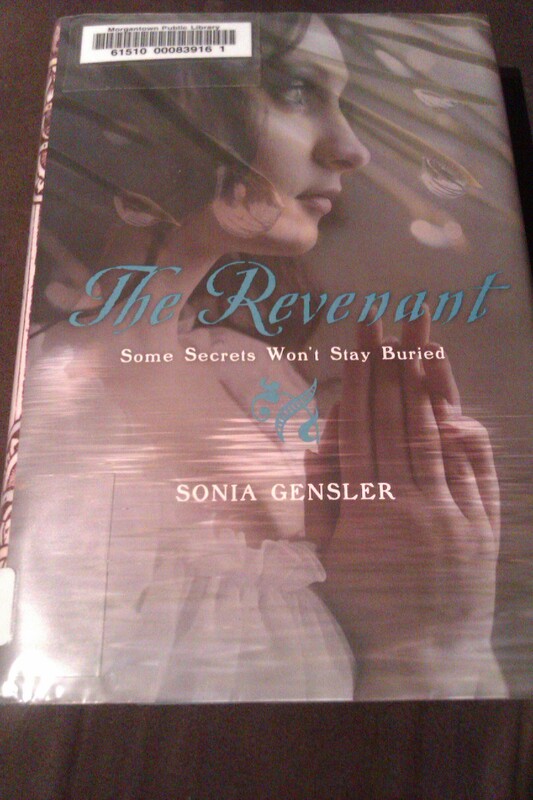 The Revenant by Sonia Gensler is the first book I finished from the library. Yes, I really did finish it in less than 24 hours. It was a pretty fast read but still powerful enough to draw you into its world. This book is Young Adult historical fiction with a bit of paranormal activity thrown in. The story takes place in 1896/7 Indian Territory (now present-day Oklahoma). 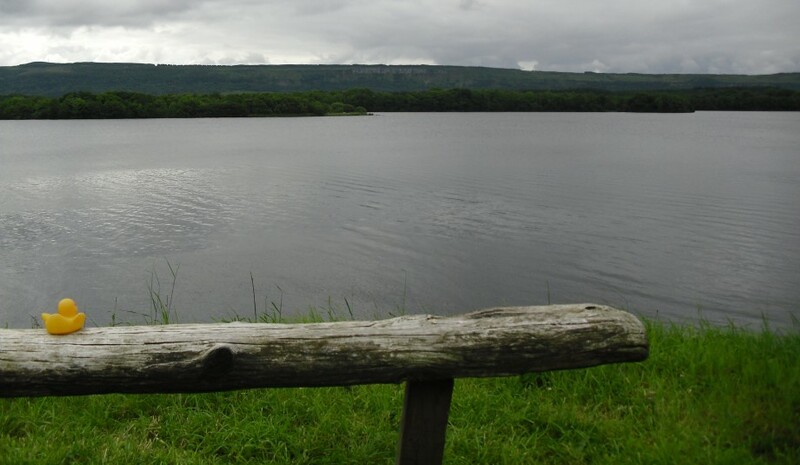 The main character, Willie, has lied about her identity to teach at the Female Seminary School. Expecting little more than rough, backwoods-y Indians, Willie is very surprised at the sophistication found at every turn in the town. Living in the room of a murdered student causes Willie to question her belief in spirits and form a rocky friendship with a fellow teacher who is also a budding medium. Throw in a mysteriously handsome young man from the Male Seminary School and you have the perfect ingredients for romance, intrigue, and adventure. All in all I thoroughly enjoyed The Revenant and would read it again. Any book with a main character constantly relying on Shakespeare to get them through tough times is a must read for me. I’ll bring more book reviews as I read them. I plan to number each one to see how many books I can read in a year. 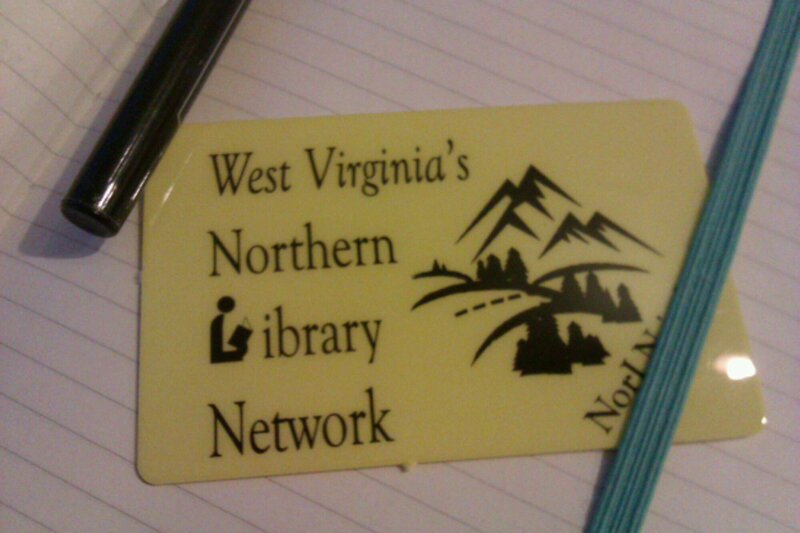 As you can tell by the picture, today I became an official member of the public library in town…and I promptly checked out three books. I have always loved reading and being in any library. Heck, I literally lived in the library during finals my part few semesters in college. I have fond memories of building forts and eating cookies in my old library, and though I haven’t known it as long I’m sure this library won’t disappoint me. I’ll put reviews about the books I got today up soon. I read so often that reviewing the books will be a fun way to keep my blogging up.